Access to over 4000 workshops. Supplying quality apprentices to the automotive industry for over a decade. We are the #1 choice! 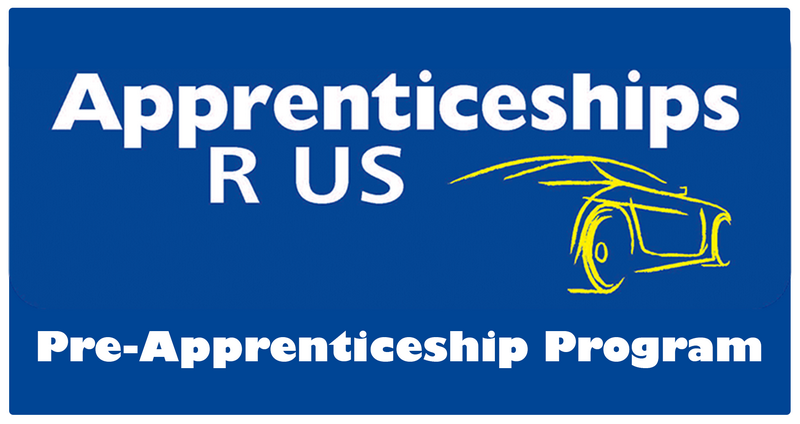 Apprenticeships Are Us is a Group Training Organisation (GTO) that has been supplying quality apprentices to the automotive industry for over a decade. Working with Commonwealth and State Governments, Registered Training Organisations and the school system, we are at the forefront of addressing the skills shortage in the automotive industry. Apprenticeships Are Us is a not for profit organisation where all surpluses are put back into the industry for the direct benefit of its clients. Apprenticeships Are Us is a Group Training Organisation (GTO) who employs apprentices and places them with host employers. My Trade Start is a Registered Training Organisation (RTO) that offers accredited courses to kickstart a career in the automotive industry. People and West is a results based recruitment company servicing the needs of the automotive industry in NSW & VIC. Industry Specialist Mentoring for Australian Apprentices in the Automotive industry across New South Wales and Victoria. Train and Care is a supported pathway to employment program that prepares young parents for long-term employment and offers individualised practical training. Job Skills 4 Youth delivers education, training and employment opportunities to Youth, Indigenous Australians, those with a disability and mature aged persons returning to the workforce. Apprenticeships Are Us runs frequent Automotive pre-apprenticeship courses at various locations across all of Sydney!